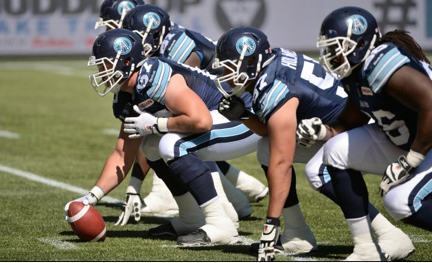 TORONTO – On Thursday night, the Toronto Argonauts will conclude their 2015 pre-season schedule as they take on the Montreal Alouettes at Percival Molson Stadium. This week’s game will serve as a final dress rehearsal for the Argonauts before they kickoff the regular season in Fort McMurray, Alberta. There are several intriguing storylines surrounding the Boatman as training camp draws to a close. Earlier this week, the Argonauts announced the signing of former Montreal Alouettes signal caller Adrian McPherson. Ricky Ray has since been placed on the six-game injured list. In Ray’s absence, fourth-year pivot Trevor Harris will start under centre when the regular season kicks off on June 28. With the final round of roster cuts looming, I examine three head-to-head matchup’s that are bound to factor into the outcome of Thursday night’s pre-season finale. This time last year the Alouettes believed Troy Smith,was their franchise quarterback. Fast-forward to today and, well, Jonathan Crompton is now at the helm of the Alouettes’ offence. Crompton took over just six games into the 2014 season, going 8-2 as a starter and completing 58.1% of his passes with 11 touchdowns and eight interceptions. Crompton is facing some competition in camp, as the Als brought in former Tiger-Cat signal caller Dan LeFevour, along with highly touted Canadian field general Brandon Bridge. The Alouettes also have former Marshal University standout Rakeem Cato on their roster. In the Alouettes’ pre-season opener, Cato connected on all five of his pass attempts, totaling 72 yards through the air and one touchdown pass. Tanner Marsh, meanwhile, remains on the Alouettes’ six-game injured list and isn’t expected to see the field for the foreseeable future. On Thursday, this group of quarterbacks will face a brash Argonauts secondary led by new defensive backs coach Jordan Younger. The Argos have a fierce competition unfolding in the secondary, with a number of top players battling for a starting job. Among them is third year safety Jermaine Gabriel, who seems poised to assume a leadership role in 2015. At cornerback, it appears as though the Argos will be starting rookie A.J. Jefferson, who has turned heads during training camp with his physical play and ball-hawking aggressiveness. Other rookie standouts from training camp include Travis Hawkins and Devin Smith. The young Argos secondary will be tested early and often Thursday against the Als’ potent offence. The Alouettes have a very fearsome defensive front and have shown that over the last few years including last season where they recorded 51 sacks (third in the CFL). The Als added to their defensive line this off-season, bringing in the very controversial, but also very disruptive, Khalif Mitchell. Adding him to a line that already consists of John Bowman, Michael Alan Cash and Gabriel Knapton is bad news for opposing offenses. The Argonauts have had some issues across their offensive line the past two seasons and this year they’re trying to find the best five possible. The unit will be led by centre Jeff Keeping who will have two familiar faces with him in left guard Tyler Holmes and veteran right tackle Chris Van Zeyl. 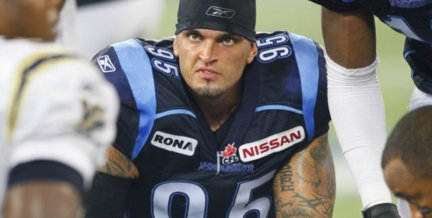 The Argos have brought in international Bruce Campbell to hopefully man the left side of the line in place of Sir Vincent Rogers who departed for Ottawa via free agency. The starter at right guard still appears to be a question mark with Jarriel King battling an injury. National veteran Wayne Smith has been starting in his place but youngsters Matt Sewell and Gregory Van Roten are challenging Smith for the starting gig. The young Argos’ offensive line will have their hands full (literally and figuratively) with the Als’ sack-happy defensive line. Earlier this week, Argonauts 10-year veteran defensive end Ricky Foley said that this defensive line is the most talented he has ever been apart of. Looking at the group on paper, you would be hard-pressed to find any CFL defensive front that comes close. Aside from Foley and his 50 career sacks, the Argos’ front four consists of second-year man Tristian Okpalaugo, who registered 12 sacks as a rookie, nationals Cleyon Laing, Daryl Waud (son of former Argo great David Waud), Cameron Walker, and a plethora of talented international pass-rushers, including Aston Whiteside, Delano Johnson, Tracy Roberston, Martez Wilson, Dontay Moch, Martin Wright, Anthony Dima and Euclid Cummings. When cut-down day comes, the coaching staff will have a very tough time getting this group down to just six or seven men. They all have unique skill sets that can generate a pass rush and stuff the run (as evident vs. Winnipeg in the first pre-season game). Will anyone from this group step up and separate themselves from the rest? If so, they will have to do so against a stout Montreal offensive line. The Alouttes are very strong on the offensive line, possessing arguably the most consistent left tackle in the CFL in Josh Bourke, and the most reputable centre in Luc Brodeur-Jourdain. The Als have some question marks at each guard position but they have some CFL veterans in Kristian Matte and Jake Piotrowski battling for starting roles, as well as newcomers James Bodanis, Phillip Blake and Pierce Burton. The group may not be as strong as in year’s past, but with veteran coach Kris Sweet manning the unit for his second season, you know they will be well-prepared. How Montreal’s guards hold up against the Argos’ talented defensive line should be something to keep an eye on Thursday and could play a big part in how successful or unsuccessful Montreal’s offence is on the night.